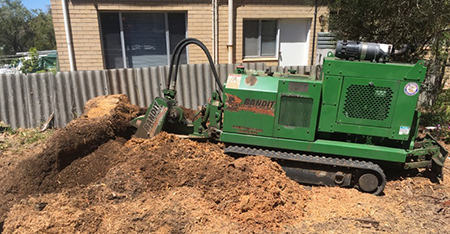 Armac has been grinding stumps since 1999 and has a lot of experience grinding tree stumps and removing surface roots throughout Bunbury and the whole of the south west area. We are holders of the nationally recognised White Card, qualified with all relevant tickets and are fully insured. Large stumps are no problem for Armac. We have a stump grinding truck that will arrive at your location with a large rubber tracked machine suitable for any size stump. There is also a smaller machine that can access the narrow jobs, even up steps if necessary. Armac can work in conjunction with local tree companies, or we can do the whole job for you. Call and discuss your total tree and stump removal needs. residential work around the Bunbury and surrounding areas. 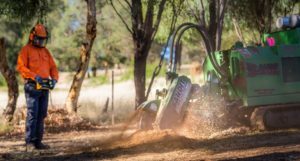 Armac works with farmers and rural properties in the south west area to grind stumps along fence lines where underground services are nearby. 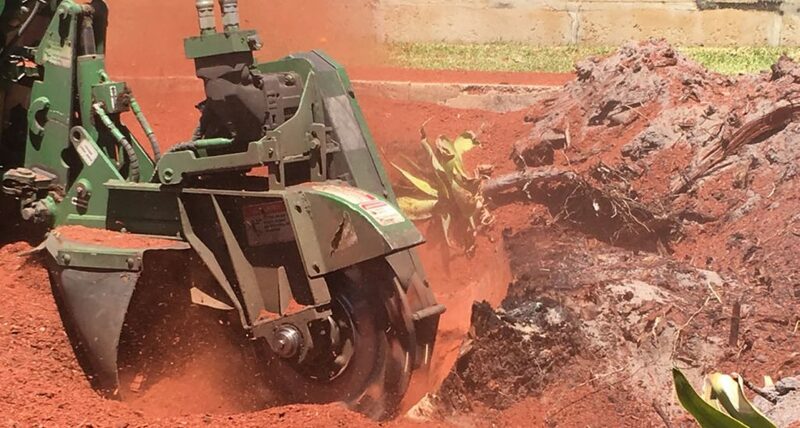 By grinding out stumps with a specialist machine, we can remove the chances of damaging important infrastructure and causing problems for you or others in your area. and leave your property clean and tidy when the job is complete. For a professional service at an affordable price, contact Ray at Armac on 0448 442 477 for a free quote. 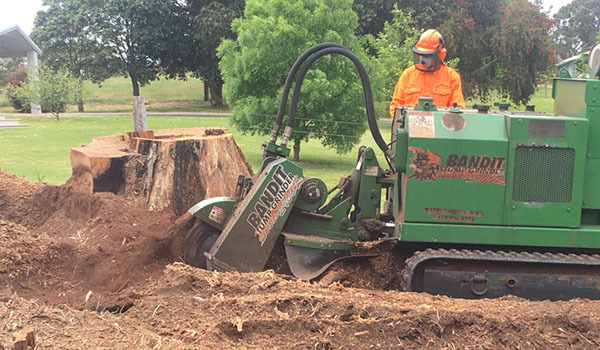 You will be pleasantly surprised to find that stump removal or grinding is not as expensive as you may have first thought. Phone us today for a free quote and to discuss your needs. Did you know we also do stump removal, tree pruning, tree removal, yard cleanup and earthworks? Call Ray on 0448 442 477 and discuss your requirements today.